From their first ride to lifting the trophy, legends choose KX - Created to dominate and built for winners, the KX65 and KX85 are competition ready machines designed to encourage the green shoots of youth talent allowing it to blossom into full-blown race wins and Championship success. 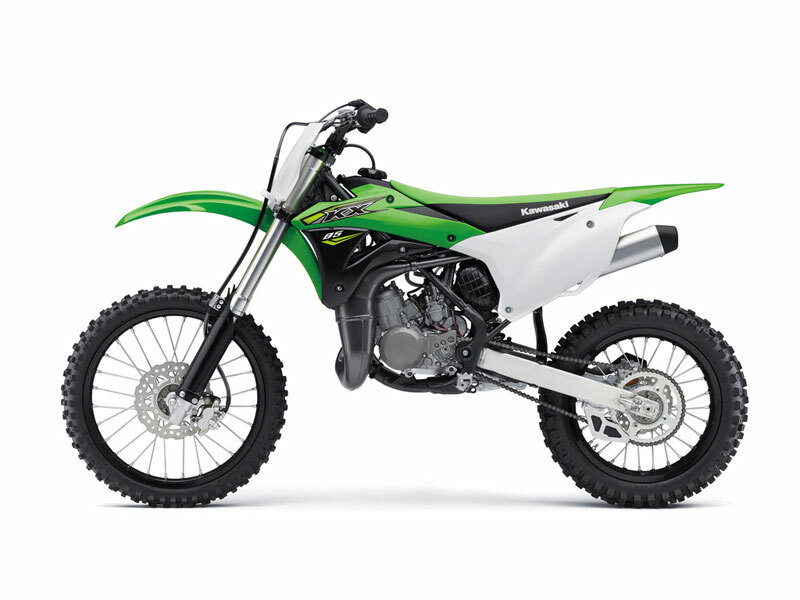 Competitive, motocross race bikes that are the choice of the Kawasaki KX Junior Squad. 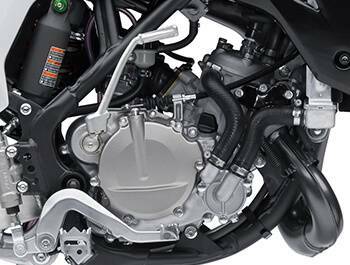 A low-friction piston, latest design KIPS valve and numerous other updates give these liquid-cooled, 2-stroke racing engines increased power and torque across the rev range. 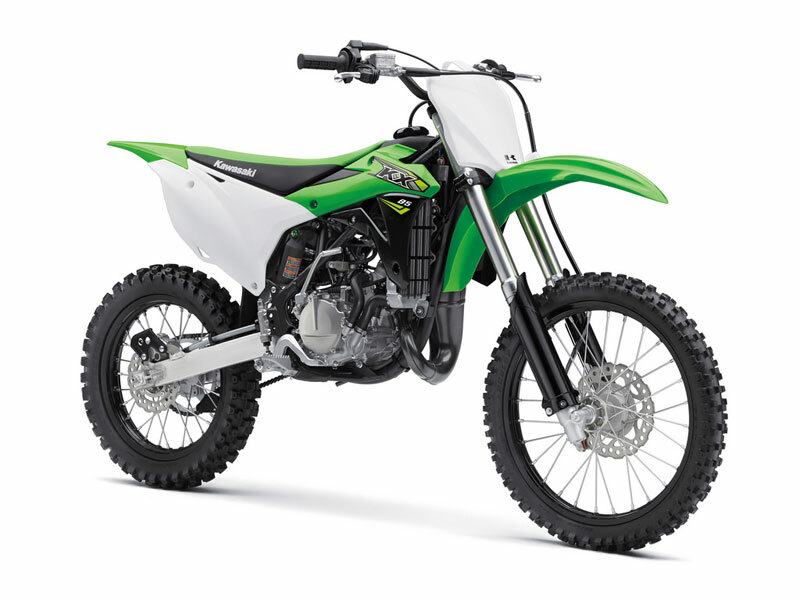 The rigid, high-tensile steel perimeter frame enables young riders to push hard on the track. A choice of six positions allows riders to fit the bike to their own riding position. Mounting brackets feature 2-position forward-backward adjustment while optional spacers allow 3-positions of height adjustment. 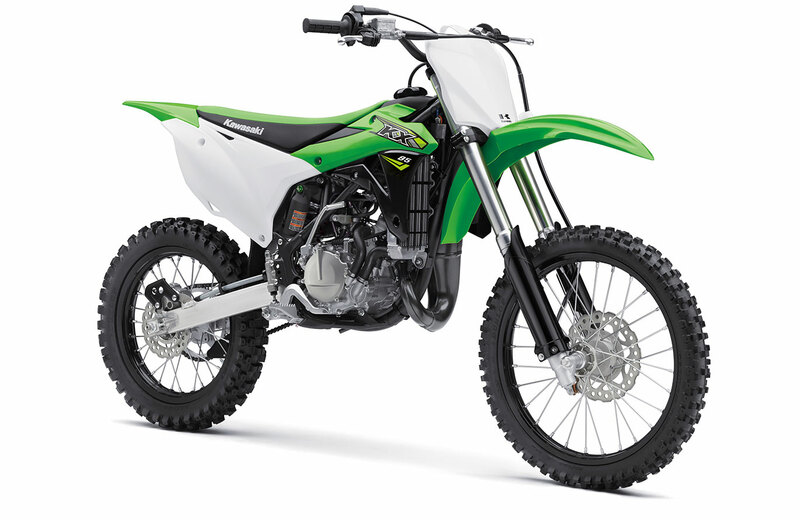 The KX85's radiator has been built to work hand in hand with the power output. Keeping it all cool when the racing is getting hot. The fork offers race proven damping and bottoming resistance, enabling higher-paced riding and contributing to increased ride comfort. Front suspension performance has been stepped up to the next level thanks to Accumulating Shim-Type Valving - the same system as used on full-size KX models. Black forks guards like the larger KX models for a factory look. Disc brakes front and rear ensure strong stopping power with excellent control. Petal discs, just like the larger KX models. The rear shock contributes to a stable ride feel, and offers easy adjustability and light weight. Black spring and green annodized adjusters add to the factory look. The minimalist bodywork, flat slim fuel tank design and the flat seat were designed to make it easier for racers to go fast. Combined with an ultra low fuel cap, enables easier body transitioning from the front to the rear of the motorcycle. All-new bodywork and racy graphics ensure the new bikes will look good in the winners' circle. Black alumite rims, black fork guards, lime green rear sping and green annodized finish on the suspension adjusters further strengthen their factory image. A fit for everyone. 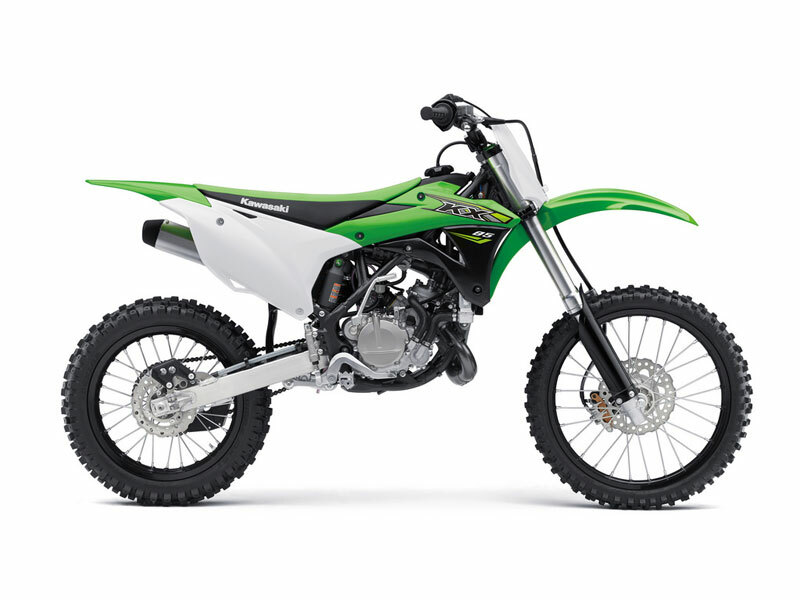 Riders can choose from two available sizes: the KX85-II feature 19" front and 16" rear wheels; the KX85 is equipped with a 17" front and 14" rear. The KX's smooth-shifting six-speed transmission offers a positive shifting action along with rugged durability thanks to hard chromed shift forks and new bushings added to the second, third and fourth gears on the output shaft. See www.kawasaki.com.au for all of the latest Authentic Kawasaki Accessories available for this model. *Alumite: an anondic oxidation finishing treatment for aluminium resulting in a coloured, corrosion / scratch-resistant film coating.